A St. Louis jury awarded nearly $4.7 billion in total damages to 22 women and their families Thursday in the first case against Johnson & Johnson that focused on asbestos in talcum powder. Their lawsuit claimed the asbestos in the product contributed to the women’s ovarian cancer. One of the plaintiffs, Gail Ingham, 73, of O&apos;Fallon, Mo., told the St. Louis Post-Dispatch that she was diagnosed with stage-3 ovarian cancer in 1985 and underwent chemotherapy treatments, surgeries and drug treatments for a year before being declared cancer-free in the early 1990s. Ingham, who used baby powder for decades, said she joined the lawsuit because women who use baby powder "need to know what&apos;s in there. They need to know what&apos;s going on." “Women need to know because they&apos;re putting it on their babies,” Ingham said. The jury announced the $4.14 billion award in punitive damages shortly after awarding $550 million in compensatory damages after a six-week trial in St. Louis Circuit Court. The verdict marked the sixth-largest award related to product defects in U.S. history, Bloomberg reported. Six of the 22 plaintiffs in the trial have died from ovarian cancer. Five plaintiffs were from Missouri, with others from Arizona, New York, North Dakota, California, Georgia, the Carolinas and Texas. Johnson & Johnson called the verdict the result of an unfair process that allowed the women to sue the company in Missouri despite most of them not living in the state, and said it would appeal -- as it has in previous cases that found for women who sued the company. 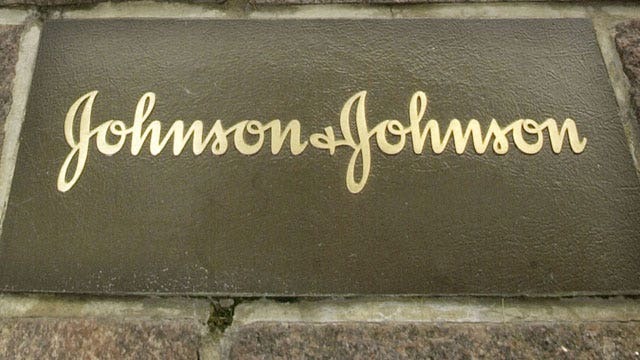 "Johnson & Johnson remains confident that its products do not contain asbestos and do not cause ovarian cancer and intends to pursue all available appellate remedies," spokeswoman Carol Goodrich said. "The multiple errors present in this trial were worse than those in the prior trials which have been reversed." She said the case was overwhelmed with “prejudice” because each plaintiff was awarded the same $25 million “irrespective of their individual facts,” according to Bloomberg. “The multiple errors present in this trial were worse than those in the prior trials which have been reversed," Goodrich said, adding that every verdict against the company in the particular court that has gone through the appeals process has been reversed. Mark Lanier, lead counsel for the plaintiffs, said in a statement that Johnson & Johnson had covered up evidence of asbestos in its products for more than 40 years. "We hope this verdict will get the attention of the J&J board and that it will lead them to better inform the medical community and the public about the connection between asbestos, talc, and ovarian cancer," Lanier said. "The company should pull talc from the market before causing further anguish, harm, and death from a terrible disease." Asbestos fibers and talc particles were found in the ovarian tissues of many of the women, the plaintiffs&apos; lawyers said. Medical experts also testified during the trial that asbestos, a known carcinogen, is intermingled with mineral talc, which is the primary ingredient in Johnson & Johnson&apos;s Baby Powder and Shower to Shower products. Lanier told the jurors Wednesday that this case was the first where jurors saw documents showing that Johnson & Johnson knew its products contained asbestos and didn&apos;t warn consumers, the Post-Dispatch reported. The company has been sued by more than 9,000 women who claim its talcum powder contributed to their ovarian cancer.